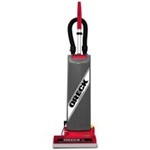 You can't talk about top cleaning brands without mentioning Oreck. Oreck vacuums and vacuum bags have been cleaning restaurants, offices, and homes for years. Make sure to look at the new backpack vacuum from Oreck if you are a janitor or maid.